Drakenstein Stud’s successful sire Philanthropist looks to have a really smart sort on his hands in the form of the Drakenstein bred and owned filly Raven Girl, who made a sparkling debut at Turffontein on Tuesday. The Geoff Woodruff trained 3yo was always travelling well under jockey Gavin Lerena, and she quickened up strongly to draw clear and post an easy three length win over 1400m first time out. Raven Girl is the second winner produced by unplaced Wolfhound mare Bright Wolf. It was a 1-3 finish for Philanthropist in Tuesday’s second race, with another first-timer by the sire, Circle Of Latitude, running a smart race back in third. No doubt, Circle Of Latitude will be off the mark before too long! Raven Girl is the latest Philanthropist 3yo to catch the eye with others including the promising Golden Slipper third Tsessebe. Philanthropist, who is currently one of the top ten sires on the all weather in North America (by prize money), also made an bright start with his first South African runners including exported G2 Investec Dingaans winner Singapore Sling and the top-class G1 filly She’s A Giver. Another member of this crop, Sail, was recently recognised at the KZN Racing Awards ceremony when awarded with “Best Performance by a 3YO Filly” title. 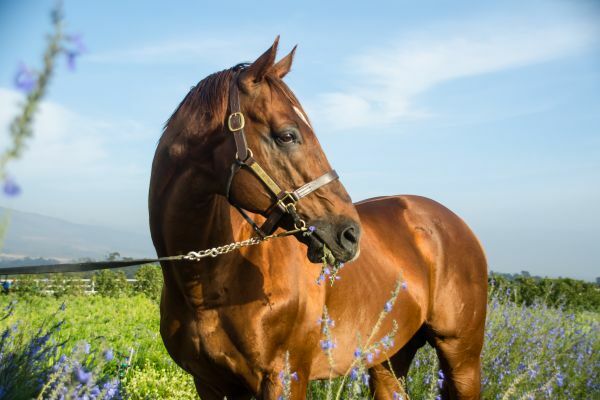 By the late, great Kris S, Philanthropist shares his broodmare sire Mr Prospector with the top stallions Pulpit, Tale Of The Cat, Silver Deputy, Malibu Moon, Flatter, and Mineshaft.